IN A significant move showing signs of gender equality, Dr Alka Mittal has joined as Director (HR) of Oil and Natural Gas Corporation Limited recently. A post graduate in Economics, MBA (HRM) and Doctorate in Commerce and Business Studies, she joined ONGC as a Graduate Trainee in 1985 and brings with her an extremely rich experience spanning over three decades. "Dr Mittal is the first woman to hold the charge of a full-time Director in ONGC’s history. 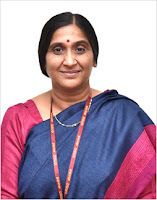 She is also on the board of ONGC Mangalore Petrochemicals Limited (OMPL) as ONGC nominee Director since August 2015," the Maharatna PSU said in a statement. of Chief Skill Development (CSD) of the PSU. In her capacity as CSD she streamlined the activities and brought in uniformity in the working of the Skill Development Centres of ONGC. During this period, she has also implemented the National Apprenticeship Promotion Scheme (NAPS) in ONGC engaging more than 5000 apprentices across all work centres, the release added. Earlier, she worked as Head CSR at Corporate Office and took up major CSR projects across India. She also led the HR-ER functions in various capacities across regions including Vadodara, Mumbai, Delhi and Jorhat, and was also the Head of Corporate Communications of ONGC during 2009. Earlier, Rupshikha Saikia Borah joined as Director (Finance) of Oil India Limited (OIL) in October, 2013 becoming the first ever lady functional director in the Board of OIL. ONGC is the largest crude oil and natural gas PSU in India, contributing around 70 per cent to Indian domestic production. Crude oil is the raw material used by downstream companies like IOC, BPCL, and HPCL to produce petroleum products like Petrol, Diesel, Kerosene, Naphtha, and Cooking Gas-LPG. This largest natural gas company ranks 11th among global energy majors (Platts). It is the only public sector Indian company to feature in Fortune’s ‘Most Admired Energy Companies’ list. ONGC ranks 18th in ‘Oil and Gas operations’ and 183rd overall in Forbes Global 2000. Acclaimed for its Corporate Governance practices, Transparency International has ranked ONGC 26th among the biggest publicly traded global giants. It is most valued and largest E&P Company in the world, and one of the highest profit-making and dividend-paying enterprise.